Amazon: Instant Pot 8-Quart 10-in-1 Programmable Pressure Cooker – Best Price! Amazon currently has the Instant Pot Ultra 8 Quart 10-in-1 Programmable Pressure Cooker priced at just $119 – 34% off the regular price of $179.95 and the best price this particular large-size model has ever been on Amazon! The 8-quart size makes it good for large families of 6 or more. New features include altitude adjustment, cooking indicator, and steam release reset button. This pressure cooker can complete the following functions: pressure cooker, slow cooker, rice/porridge cooker, yogurt maker, cake maker, egg cooker, saute/stearing, steamer, warmer, and sterilizer. New steam release button for safer handling. I like some of the new features on this Instant Pot, that give you greater control and a greater sense of knowing what’s happening under that lid! While my model isn’t this big or fancy, I do have an Instant Pot and I’ve enjoyed using it for over a year now. My favorite thing to use it for is to make perfect steel cut oats in the morning (put some apple and brown sugar in there and it tastes like a pie!). I also love making this quick & easy spaghetti recipe and my kids adore these French dip sandwiches. I’ve also dabbled with a few other things, such as soups and roasted baby potatoes with good results. As a reminder, prices and availability can change at any time, without warning. 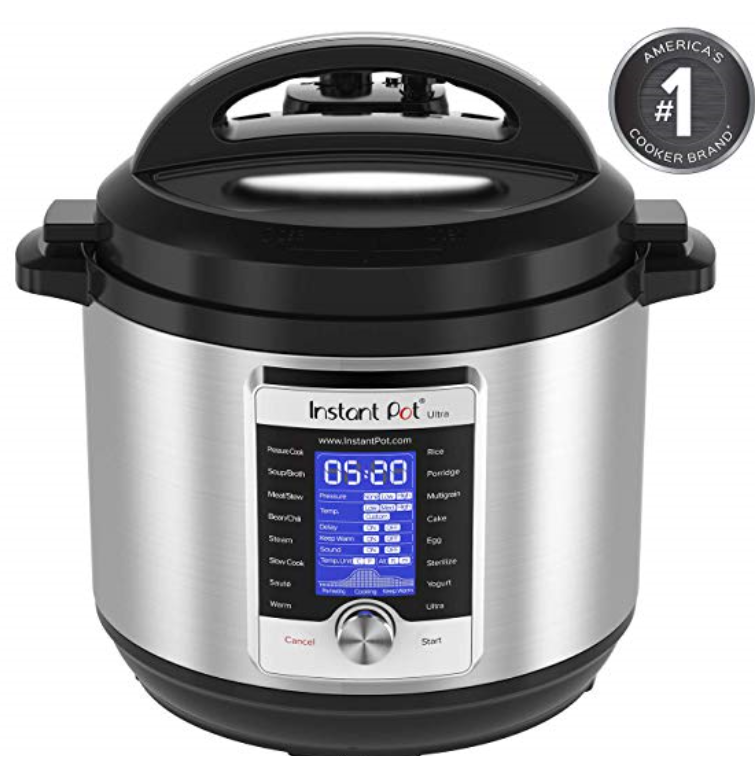 Head to Amazon to learn more and snag this Instant Pot while you can at this price! Air fryer and Instant Pot recipes and has a cook Book and lots of YouTube Videos and how to use them both . Also she’s got a Facebook presence and a sourdough group if you’re serious about becoming a better baker ‍.